There’s much, much more to the fall farmers market than pumpkin. We can’t claim immunity to the charms of a nice, dense pumpkin bread, but you can be sure we’ll have our kitchens stocked all season long with these quintessential fall vegetables and fruits—including several vastly underrated autumn gems. All of the cabbage family, including our beloved cauliflower, will be in full swing this season. We love their bold flavors, especially when simply roasted. For a quick salad, serve sprouts shaved, like in this Shaved Brussels Sprout Salad with Pecorino and Pistachios. 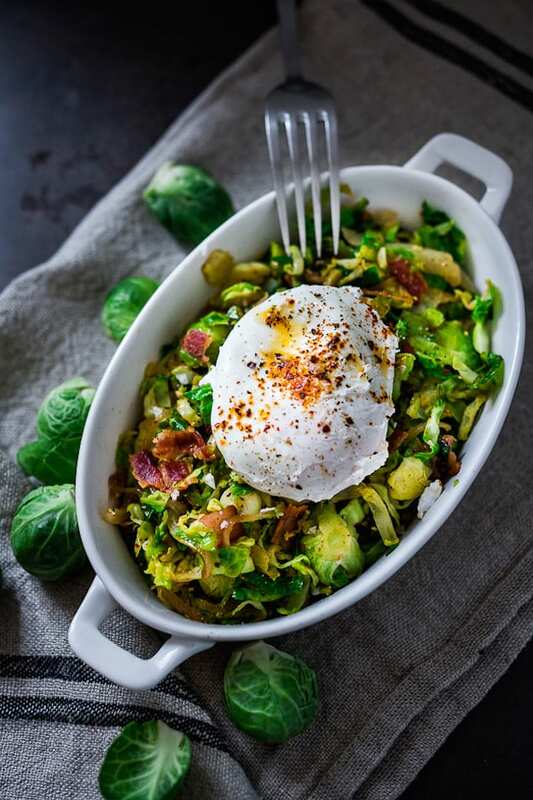 Or, feature them warm in a Brussels Sprout Hash. Like most produce today, mushrooms are available on grocery store shelves year round. However, this, our favorite fungus reaches its peak in the fall when temperatures are lower. Visit your local farmers market to check out the best of fall mushrooms, especially foraged ones. Of course, only purchase foraged mushrooms from a reputable supplier you trust. 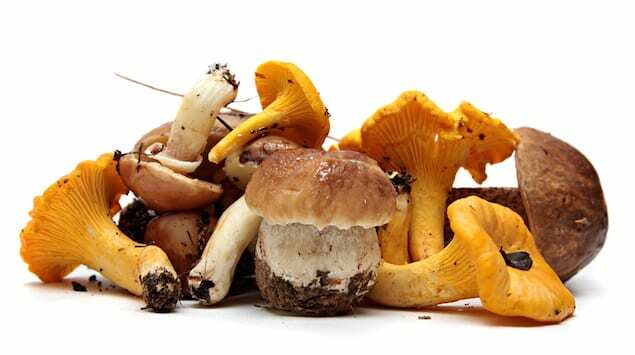 When cleaning mushrooms before cooking, simply wipe with a dry or slightly damp paper towel, rather than rinsing under water. Any kind of mushroom you find can be easily made into a flavorful Mushroom Escabeche. Has winter squash been overdone and thrown into too many lattes? Maybe so, but we still love it. Plus, if butternut squash isn’t your thing, there are plenty of others in the same family to choose from. Make a classic creamy butternut squash soup, but consider adding curry or coconut to the blend. For a cool recipe, make a Roasted Butternut Squash Spread, perfect with pita chips. 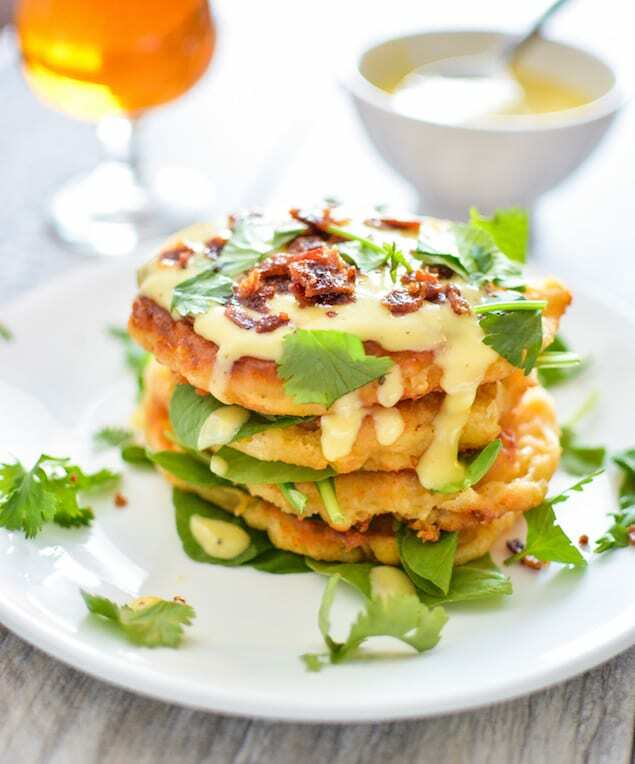 Make Butternut Squash Cheesy Corn Cakes with Gruyere Hollandaise as a whole new way to cook with the squash. 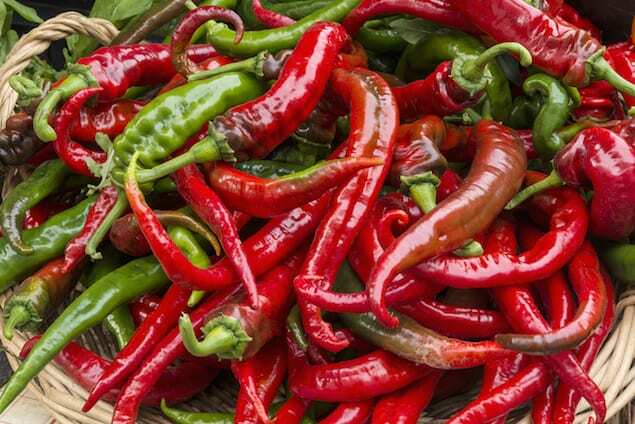 While we generally encounter chili peppers in a dried form all year round, they actually spend the summer baking under the sun and are not ready for harvesting until fall. The plants will continue to bear peppers until the first frost. Another fun pepper fact: the hotter the summer, the hotter the heat of the pepper. Now is the time to buy fresh peppers, string them up and dry them out to use in recipes for the next year. The peppers may also be preserved in other ways like with oil or pickling methods. Check out this guide to drying your peppers and these recipes for pickling your peppers. We love the sweet, vibrant beetroot so much we could shout it from the rooftops. This vegetable has too many health benefits to count and can easily work into savory or sweet recipes. When selecting beets, it is often best to choose the smaller bulbs, as they tend to have concentrated flavor. Try making this recipe for beet sauerkraut and saving the root for later. 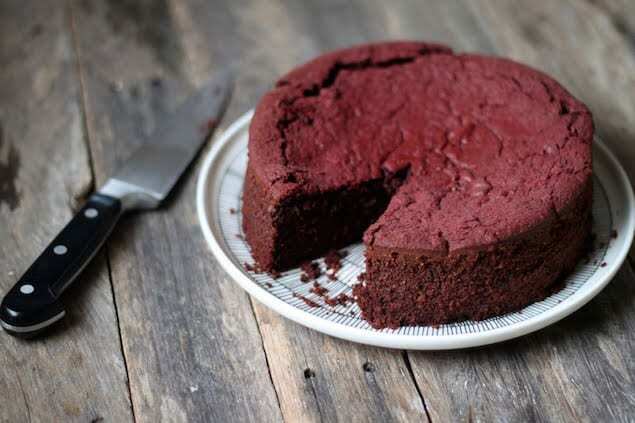 Beets also do well in a variety of desserts, especially chocolate cakes, adding great moisture. Try this recipe. The beauty of chicory is that it is not one vegetable, but rather encompasses a few, each very different. 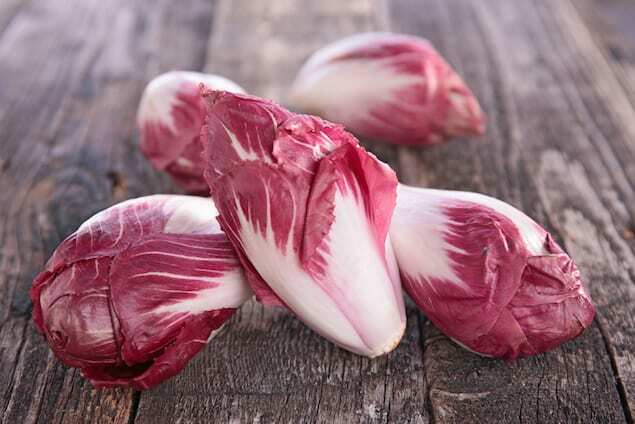 Endive, frisée, radicchio, escarole are all considered part of the chicory family. Chicory can be enjoyed raw, sautéed, steamed or even roasted. Because chicory plants tend to have a bitter flavor, be sure to serve them with something sweet like honey, salty, or acidic like lime juice. Check out this collection of chicory recipes. From fall to late winter, the pomegranate fruit graces our presence—and we couldn’t be happier about. All summer long, we finish our salads and desserts with red cherry tomatoes and bright berries, and when cold weather comes around? We have pomegranate seeds. Top your guacamole or green salads with these, or sprinkle a few seeds on your chocolate mousse cups. We love pomegranate at dinner in Scallops with Pomegranate Beurre Blanc. 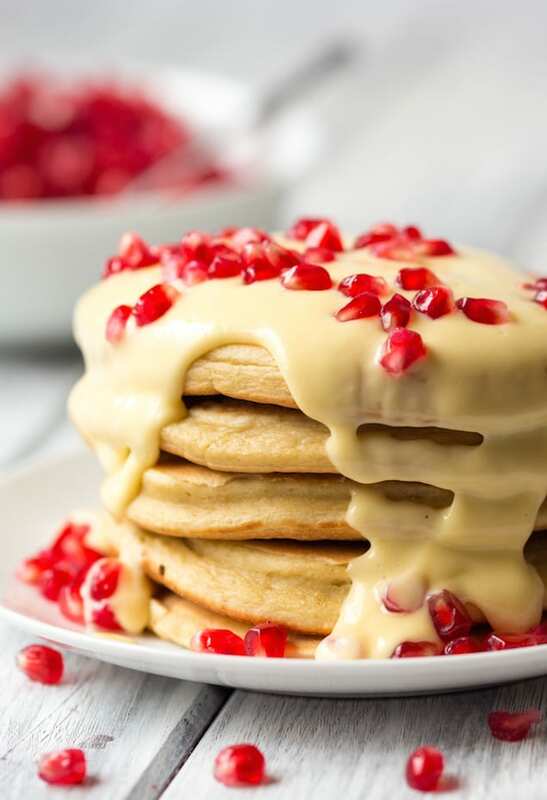 These gems are even great at breakfast on Ricotta Pancakes with Lemon Sauce and Pomegranate Seeds. Actually nothing like the green spring artichoke, the sunchoke is available from late fall through the end of winter. The tuber can be eaten raw or cooked and is often used in the same dishes as you would find a potato. Add it to a thick pureed or broth-y soup, whisk pieces into a quiche, or throw it in with your roasting chicken. 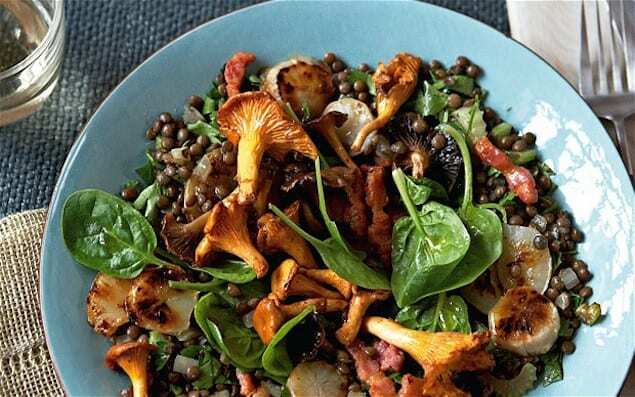 Try this recipe for Jerusalem artichoke, wild mushroom, bacon and lentil salad. An onion is an onion is an onion, right? 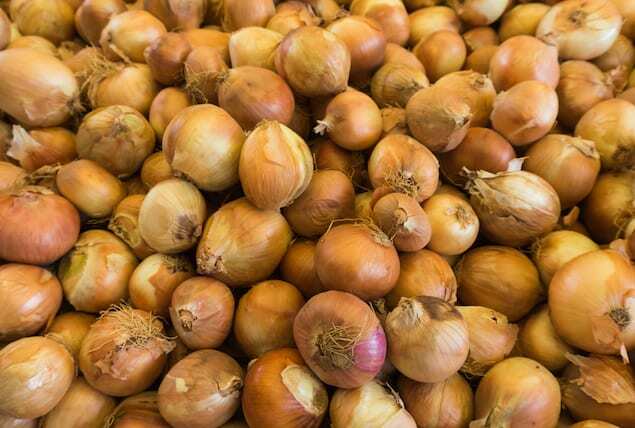 Not quite, this onion bulb can be planted in the spring for a fall harvest, or in the fall for an early spring harvest, but some say the fall harvest is better. This variety is similar to a shallot, but larger. They can be hard to find, so scour your farmers market for the potato onion this fall and add to any recipe that calls for shallots. This long, dark root doesn’t look very enjoyable on the outside, but on the inside, it is quite delicious. Often boiled and mashed, salsify is great as a vegetable side or included in soups. This root is also very similar to the common potato, but with a more unique flavor. 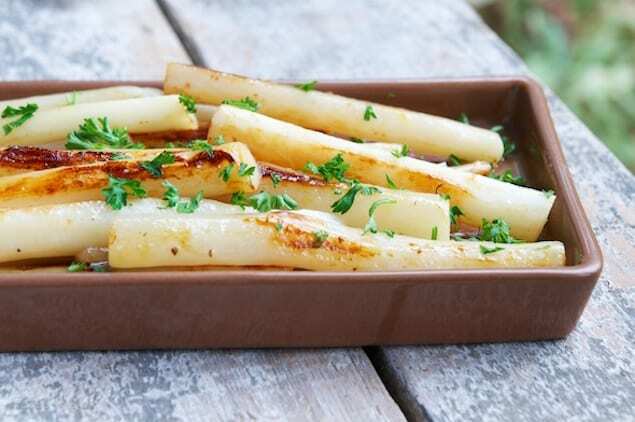 For a simple recipe that will help get you acquainted, try this Caramelized Salsify. There’s something romantic and underrated about the quince fruit. Their short season lasts from the end of September just until December, so be sure to get your fill! Somewhere between the shape of an apple and a pear, the quince fruit is quite hard and not able to be eaten raw. However, that just gives us all the more chance to turn on the oven, warm the kitchen, and make something with quince. Plus, this fruit is perfect with traditional autumn spices. Try making a quince chutney or a quince pie. It can also be served with savory dishes, especially as a side to pork— think pork chops and apples. 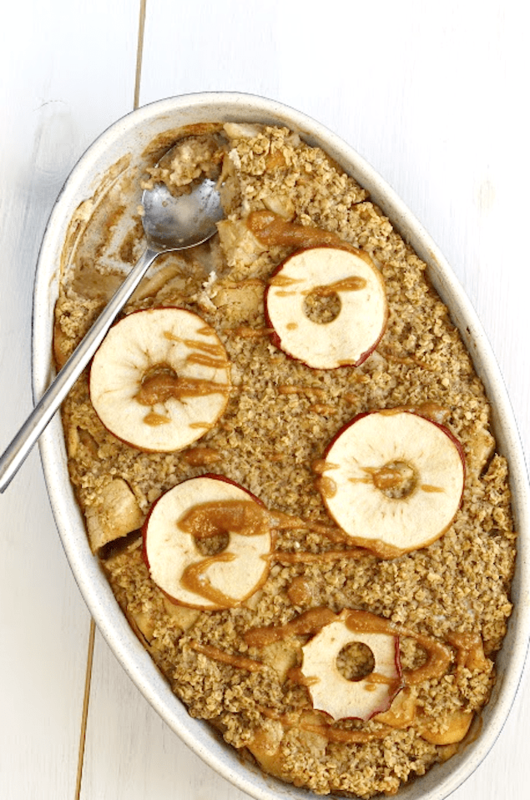 Invite quince to breakfast too with Quince and Apple Baked Oatmeal. This article from Honest Cooking was reprinted with permission. It originally appeared as Fall Ingredients to Get Excited About.